Vape wizards are consistently on a quest to blow clouds that are fat, dense, awe-inspiring, and larger than life. Cloud chasers are known for having a wicked competitive streak, which means that vape enthusiasts all across the globe are on a mission to learn how they can create huge vape clouds that will intimidate fellow cloud chasers, impress their friends, and leave them with dense, out of this world clouds that are bigger and better than ever before. Whether you are a competition vaper looking to get your feet wet in the world of cloud chasing contests, or you simply adore your trusty box mod and would like to pick up some tips that will help you learn to blow fat clouds that will seriously wow a crowd, you’ve come to the right place! We’re here today to teach you the ins and outs of how to blow the biggest vape clouds in historyâ from tips on how to inhale as much vapor as humanly possible, to valuable information about which vape juices are going to be the most useful for those of you who want to chase some seriously impressive clouds of vapor. It’s time to buckle yourself in, and get ready for a wild, smoking ride! With enough practice and determination, soon enough, you’ll be blowing gigantic clouds just like this guy can! Now that you’ve decided you’d like to take a stab at learning how to blow some gigantic clouds, you may be asking yourself one very important question: What kind of things does one need to blow the world’s biggest clouds? Vape enthusiasts often are unsure of the answer to this question at first, but fortunately, we’re here to give all the answers directly to you so you don’t have to play any tedious guessing games. Vaping can be done safely as long as you take the necessary precautions to do it right, but it does not come without risks. Make sure to regularly check your vape mod batteries for corroding or damage, and never use a charger that won’t work with your mod. Along with that, battery overheating is something that can happen and can be very dangerous, so be sure to check your charger, mod, and batteries regularly to ensure that everything is in working order before you begin to vape. 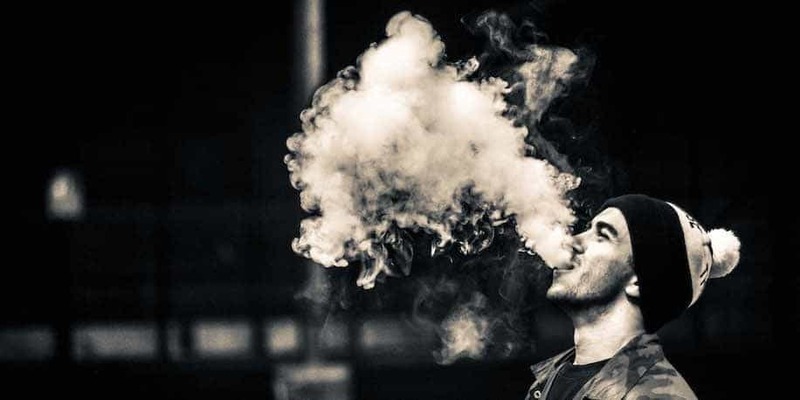 Making our own massive vape clouds can be a blast, but it must be done right. Be smart; stay safe. The rules are that simple. After making the exciting decision to chase some clouds, vaping enthusiasts must decide which e-liquid they want to use to do so. When choosing the perfect e-juice, there are a couple of things you will want to be on the lookout for. First of all, you should search for an e-liquid that has a relatively low amount of nicotine. Chasing clouds is hard work, and involves taking in much more vapor than you would if you were vaping solely for sensation and flavor. Because of this factor, you will end up taking in much more vapor than you would typically. Too much nicotine in a short amount of time has the potential to make you sick if you aren’t accustomed to it, so stick to an e-juice with an amount of nicotine that is on the lower end of your personal spectrum. For instance, if you normally use e-juice that is between 3 to 6 mg, pick a juice with 3mg of nicotine in it. The next thing you should look for in an e-juice is one that is heavier in VG than PG. PG stands for propylene glycol, and VG stands for vegetable glycerin. An e-liquid that is high in PG will provide you with an intense sensory experience, but won’t give you much vapor. However, using an e-juice that is high in VG will ensure that your vapor is as dense as possible. If you want to recreationally blow huge vapor, vape with an e-liquid that contains both VG and PG so that you can get the best of both worlds: a bit of sensation and a lot of vapor. 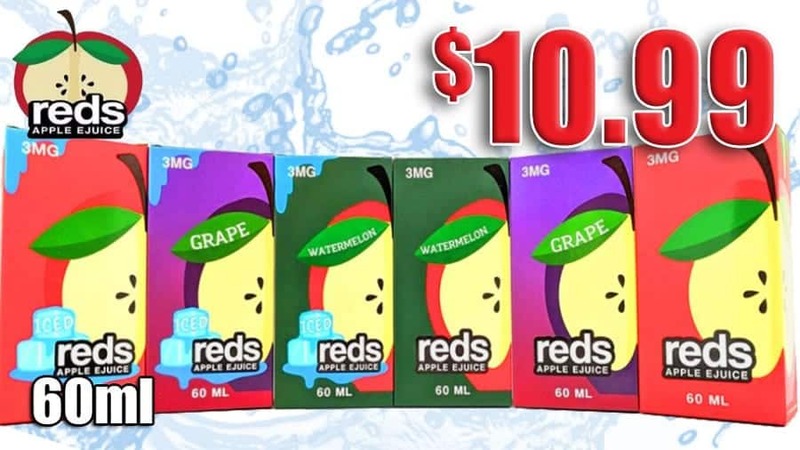 If you’d like to vape competitively, however, you may want to consider investing in an e-juice that is one hundred percent VG so you can have a leg up on your competition from the get-go. A proper amount of airflow can be the difference between an average-sized vapor and a thoroughly impressive one. If your mod isn’t getting enough air, it can result in serious safety issues, but if it is getting too much air, it can cause your clouds to be thinned out, wispy, and disappointingly small. Balance in regards to airflow is key. Choosing the best mod and atomizer is absolutely crucial in this particular circumstance. While the average vape mod would be considered perfect for regular, everyday use, if you want to blow fat clouds that are going to make your vape skills stand out from the pack, then you’ll need to put extremely careful thought into making sure you choose the best. Rebuildable Atomizers are considered to be the atomizer type around for those who want to create some seriously impressive and jaw dropping clouds. Before diving into purchasing and using an RBA, please make sure to do your research. RBAs help people to create larger than life clouds that they would not be able to create otherwise, but this also means that using RBAs can be a bit riskier. Only highly responsible, seasoned vape wizards should take a crack at using RBAs. Rebuildable Atomizers tend to place more strain on batteries than the average vape mod, particularly when the mod is being used with sub ohm vaping coils. For best results, try to invest in a high drain IMR battery. This will aid in keeping your battery going at a safe, reliable heat limit. There are tons of awesome RBAs on the market, so shop around and see which one you like the most. Check out our recommendations for some of the best RBAs around below. 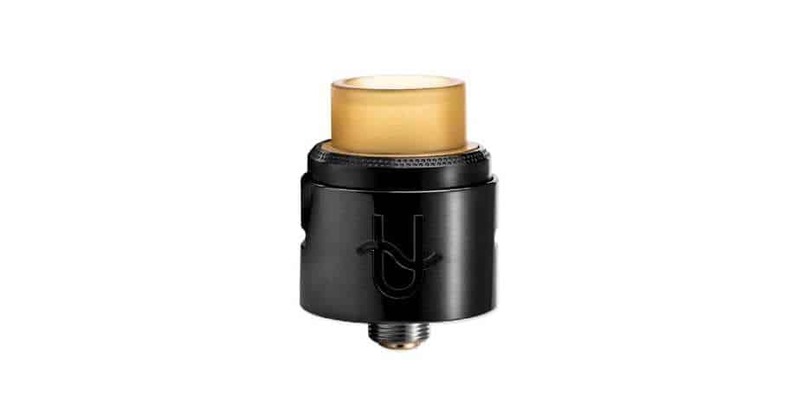 The Hop N Vape KOF RDTA is a rebuildable drip tank atomizer that features an easy to use single coil build deck, a deck with easily accessible filling holes, the capacity to hold 3 ml of e-liquid, and utilizes both side and bottom airflow. 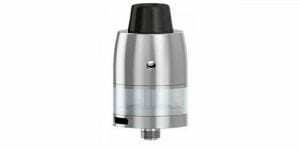 This rebuildable atomizer is available in two sleek colors: black and stainless steel. It feeds in from the bottom, comes with dual independent posts with four wire holes that can be used for single or dual coil builds, an embedded deck design to prevent e-juice leakage, and three chamber holes for ample airflow. What is your Wicking Style? Wicking isn’t usually the first thing vape fans tend to think about when they decide they want to create some killer clouds, but it can actually have a tremendously large effect on how successful your vape experience is going to be. If you want them to be smooth, dense, and ridiculously massive, then you’ll want to make sure to use high-quality wick while you chase clouds. Time To See Some Giant Clouds! So you can develop a deep, thorough understanding of exactly what a big one is and how to make them yourself, we’ve compiled a list of some of the most impressive clouds ever made. Below you will find videos with commentary regarding what these vapers are doing technique-wise that is helping them to create such dense, thick, and large pools of vapor. Let’s get started! The following video shows a set of guys who are clearly vape wizards and have the iron lungs to prove it! You’ll notice when watching this that these vape aficionados have mastered the art of the proper vaping posture for chasing clouds. When you vape, ideally, you’ll be standing so your lungs can fill up to their maximum capacity and you can take in as much vapor as possible. Keep your shoulders back and your stance solid. This next video shows a vape wizard who manages to fill up his entire yard with thick, dense, full-on vapor! He clearly had mastered the art of proper inhalation and exhalation while vaping. To match his skill level, work on inhaling as deeply as you can for as long of a duration as you can while you take in your vapor. Keep your chest open and your belly loose. As you inhale, slowly push your shoulders back slightly further so that your lungs continue to open up and create additional space. When it’s time to expel your vapor, slowly and steadily exhale so that your clouds come out in large, dense, billowing pools. The results will certainly astound you! This next clip features footage of expert cloud chaser Alex Miller showing off his skills. For competitive vapers like Alex, vape builds are everything. This footage from the VC Cloud Championship 2016 gives us a bird’s eye view of what life is like for cloud chasers in the heat of competition. Here is another jaw-dropping clip from VC Cloud’s 2016 Championship. This one features female competitors in the biggest competition. Check out this awesome footage of a power vaping YouTuber creating massive vapors inside his garage. This next video features a person who not only blows huge clouds but has some killer vape tricks to show off at well. This vape master sure knows how to impress! The following clip is one for the books! This compilation video features tons of master vape wizards showing off their special skills. This next clip shows us that it’s possible to chase on the go. How many vapers does it take to cloud up an entire room? Watch this short compilation of video footage to find out! Now You’re Ready To Chase Some Massive Clouds! Now that you’ve gotten a chance to see some eye-opening, jaw-dropping examples of what the biggest clouds in history looked like, let’s review. Beginning your journey as a novice cloud chaser can often seem difficult and intimidating. The road to becoming an expert vaper is not always an easy one to take, but it is undoubtedly a very rewarding one once all your hard work, sweat, and tears eventually pay off. We put together a Vape Tricks Tutorial to help you get started. Safety is key when it comes to blowing humongous vape clouds. Creating a gigantic cloud with a shady looking mod and sketchy batteries simply isn’t worth the stress and trouble it could cause, so being sure to check your charger, mod, and vape batteries for any damage or irregularities are absolutely essential. Here’s an article for more on vape battery safety. It is much easier to visit our website’s awesome deals section and purchase a new set of vape batteries than it is to correct the damage of a hastily planned cloud chasing expedition gone wrong, so you should always make a conscious effort to engage in smart vaping decisions. Choosing the right mod, e-juice, and atomizer is of the utmost importance. There are a variety of awesome sub ohm tanks and RBAs available, and you will most definitely be able to find one that suits your vaping needs. Technique and practice make more of a difference than you would think. Practice makes perfect, and as long as you work hard to improve your cloud chasing skills and stay focused and motivated, you’ll be creating stellar clouds in no time at all!